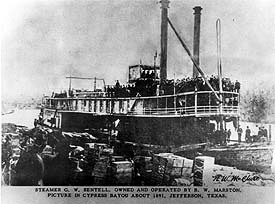 more than 100 miles long had formed north of Natchitoches, Louisiana, in the Red River causing the Caddo Lake to rise, enough so that major commercial river boats from as far away as St Louis and New Orleans were able to travel inland to Jefferson. By 1845, steamboats were regularly reaching Jefferson, some with as many as 130 passengers or more aboard. At its high point, it was not unusual for Jefferson to receive upwards of 250 paddle boats per year. By the late 1840s Jefferson had emerged as the leading commercial and distribution in Northeast Texas and the state's chief inland port, second only to Galveston. For more than 30 years, the port of Jefferson served as the primary entry point for settlers, immigrants, and supplies from the east. 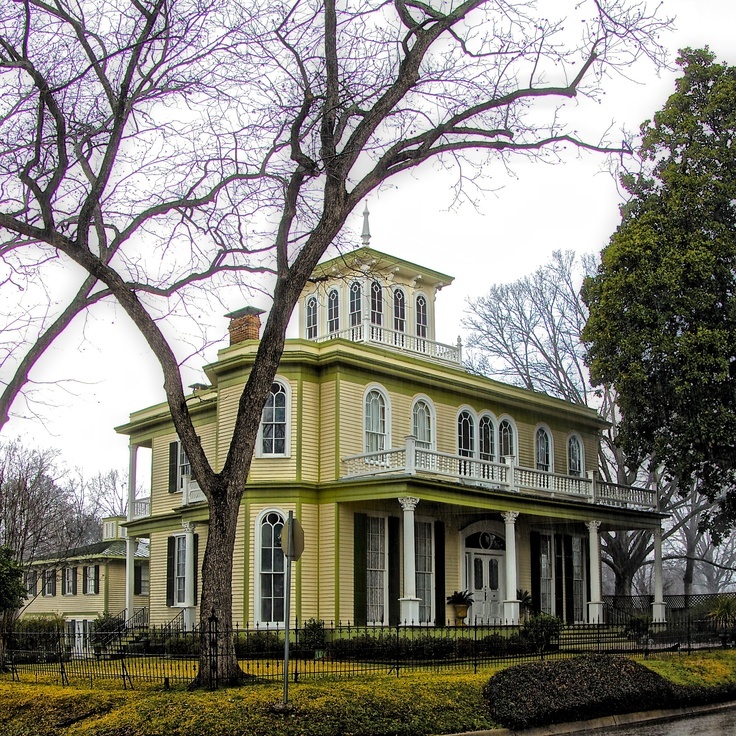 The historic homes alone in Jefferson are worth the visit--carefully restored and graciously hosted by knowledgeable docents. 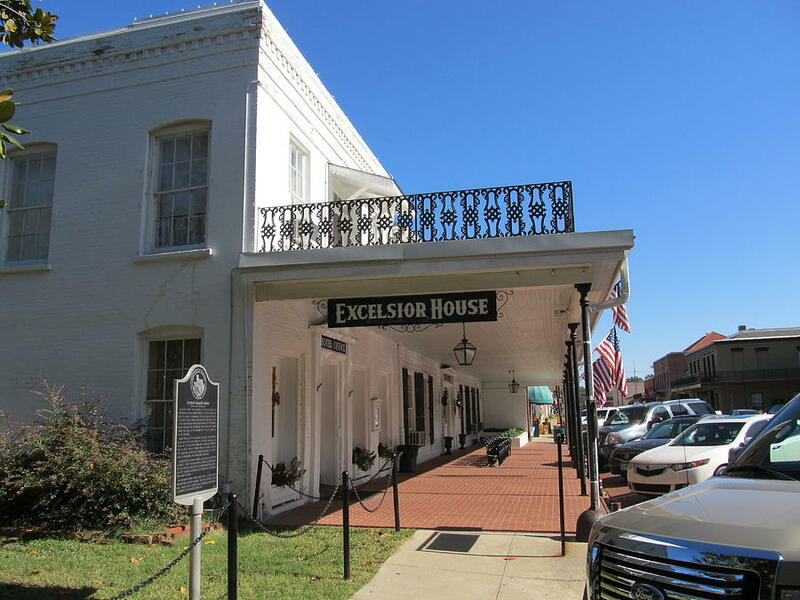 And the town supports two, yes, to allegedly haunted hotels ... the Jefferson and the longest continuously operating hotel in Texas, the Excelsior House Hotel. We have stayed numerous times in the Excelsior House and enjoyed the sumptuous Southern breakfast the next morning with their signature orange blossom muffins, but the claim that the hotel is haunted is a bit unnerving. I must admit. Confederacy. During the Civil War, Jefferson served as a vital supply point for the South until the Port of New Orleans fell under blockade by Northern naval forces. Jefferson now holds an annual Civil War enactment where the town is resplendent with men in Confederate uniforms with a southern belle on their arms on every street corner. And battle scenes are re-enacted outside of town for interested tourists. The town had been scheduled for destruction and to be set ablaze by the advancing Northern troops, as had been the eventual fate of many of her sister cities during the last days of the War. Thankfully, Jefferson was spared, aiding its early return to prosperity, even in the wake of Reconstruction. By 1870, it was recorded that over 200 new buildings were in the works. The town reached its peak population just a few years after the Civil War and is reported to have exceeded 30,000. During this time, Jefferson was the sixth largest town in Texas. However, two events changed the course of Jefferson's future. The railroad which ran from Marshall to Texarkana bypassed Jefferson, and the natural dam was broken up by the US Corps of Engineers deeming it a navigational hazard. Both of those actions changed the commercial face of Jefferson and the population and trade dwindled drastically. Today it is basically a tourist attraction. Have you ever visited Jefferson, TX? Leave a comment, and I'll send you the recipe for the yummy orange blossom muffins! Golden, I love Jefferson. I have cousins in Carthage and whenever we visit them, we make a trip to Jefferson and Marshall. We haven't stayed at the Excelsior Hotel, but I've their muffins and they are absolutely delicious. Had fun shopping and walking the streets. Makes me want to conjure up all kinds of stories. Thanks for featuring it today. No, I've never had the opportunity but it sounds like a wonderful place. Thanks for sharing! This makes me want to go back again. I hear it's a wonderful place to visit at Christmas time! Today was my first visit to Jefferson. I love history and this town is packed full of it. I can't wait to do the ghost walk and tour some of the haunted places. We visited today, we loved it..The general store took us back to our childhood. This store was just like the one in our hometown, sadly isn't around anymore..We can't wait to go back and see all the tours, this town is fantastic..